Afghan forces rescued nearly 150 people hours after their abduction by Taliban militants. The militants, however, escaped with 21 people following a battle in Kunduz in northern Afghanistan. The quick response marked a rare battlefield success for the government after weeks of continuing attacks. A government spokesman said tribal leaders were trying to negotiate their release. The Taliban have been fighting the U.S.-backed Afghan government for nearly 17 years. Recently, they have stepped up attacks, seizing rural areas and launching major attacks against government forces every day. Earlier this month, the militants seized several neighborhoods in Ghazni, a city 120 kilometers from the capital, Kabul. It took more than five days for government forces to re-take the city with help from U.S. airstrikes and advisers. The battle for Ghazni killed at least 100 government troops and 35 civilians. The Defense Ministry said about 200 militants were killed. The latest attack came a day after Afghan President Ashraf Ghani proposed a holiday ceasefire. The proposal would be conditional on the Taliban halting attacks and could last up to three months. Presidential spokesman Haroon Chakhansoori said on Monday the government would continue its operations against the Taliban until their leadership announces an official ceasefire. However, he added, the Afghan security forces will continue their operations against other Islamic State militants and drug smugglers. Taliban sources said their leaders had told local commanders to stop fighting for four days this week during the Muslim festival of Eid-ul-Adha. But they were not likely to officially announce anything, the sources said. Chakhansoori also said the Afghanistan government had asked the Taliban for a prisoner list for possible release over Eid. He said the government would consider releasing Taliban prisoners that were old, sick, or who had finished jail terms or were declared free by courts. The Taliban said they would also release a number of prisoners over Eid. From the United States, Secretary of State Mike Pompeo said on Sunday that the U.S. is ready to support direct negotiations between the Afghan government and the Taliban. Pompeo said in a statement, "The United States welcomes the announcement by the Afghan government of a cease-fire conditioned on Taliban participation. 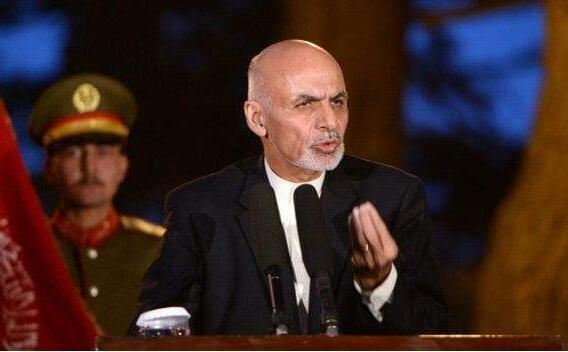 This plan responds to the clear and continued call of the Afghan people for peace." "The last cease-fire in Afghanistan revealed the deep desire of the Afghan people to end the conflict, and we hope another ceasefire will move the country closer to sustainable security," the statement added. The last ceasefire was in June and lasted for three days. It is counterproductive to our efforts to resume direct negotiations between the parties. In some rural areas, the teachers themselves have not graduated from high school. 5.The Taliban said they would also release a number of prisoners over Eid. A number of them departed for an outing. 6.The proposal would be conditional on the Taliban halting attacks and could last up to three months. The entire rescue process is expected to last up to two days.